Explanation: The Tarantula Nebula is more than a thousand light-years in diameter, a giant star forming region within nearby satellite galaxy the Large Magellanic Cloud, about 180 thousand light-years away. 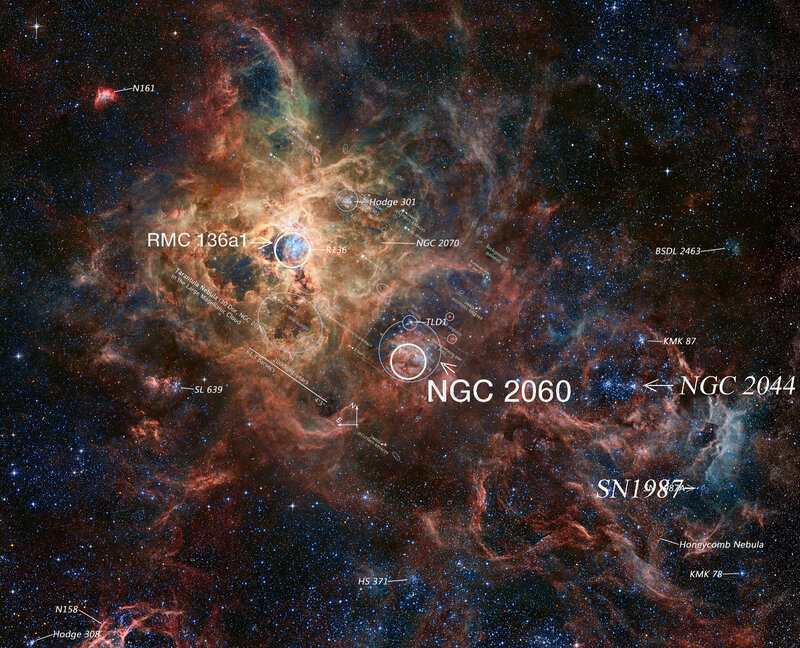 The largest, most violent star forming region known in the whole Local Group of galaxies, the cosmic arachnid sprawls across this spectacular composite view constructed with space- and ground-based image data. Within the Tarantula (NGC 2070), intense radiation, stellar winds and supernova shocks from the central young cluster of massive stars, catalogued as R136, energize the nebular glow and shape the spidery filaments. 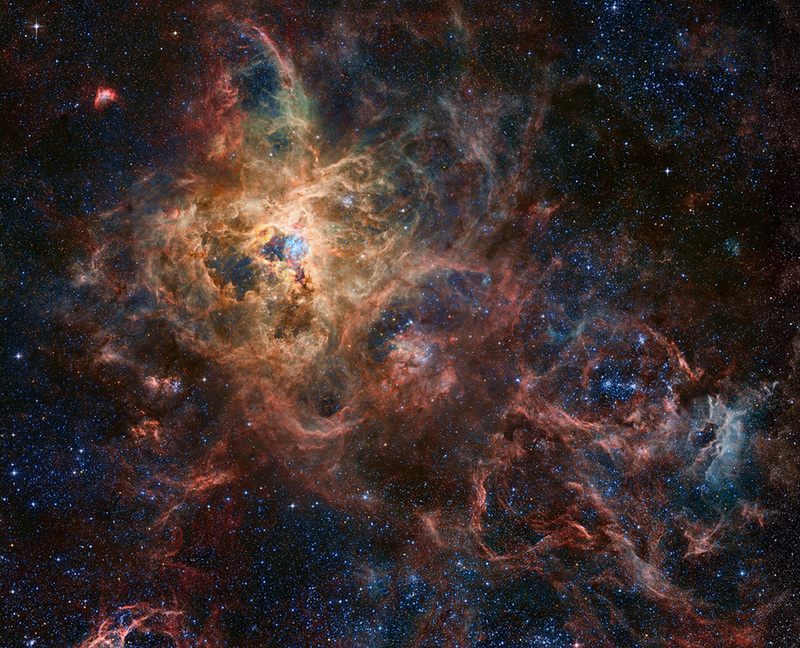 Around the Tarantula are other star forming regions with young star clusters, filaments, and blown-out bubble-shaped clouds In fact, the frame includes the site of the closest supernova in modern times, SN 1987A, at the lower right. The rich field of view spans about 1 degree or 2 full moons, in the southern constellation Dorado. But were the Tarantula Nebula closer, say 1,500 light-years distant like the local star forming Orion Nebula, it would take up half the sky.